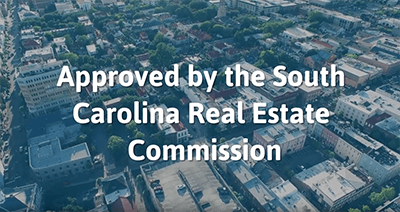 This course will fulfill your core requirement for your Broker In Charge license and will cover multiple topics that relate to the role of the broker-in-charge in the South Carolina real estate profession. Subjects include the basic duties and responsibilities of serving as the broker-in-charge (BIC), transaction brokerage and other licensing law updates, management and supervision, managing client trust accounts, broker relationships, office policies and more. The content and process was great. Some of the licensing laws sections were a bit long and it was easy to get a little jumbled. The student may benefit from some of the longer ones being broken in to less sections. Otherwise, it's a great course. Very good!!! Well done and fair! overall very well done..a few statements were somewhat presumptuous..
NAVIGATING WAS CONFUSING WITH ARROWS DOWN AT THE BOTTOM AND PLACES TO CLICK AT THE TOP OF THE SAME PAGE. Course materials did not match quizes. Blank areas for answers often weren't clear as to answers requested. Answers not graded properly. Material not organized appropriately or in order.